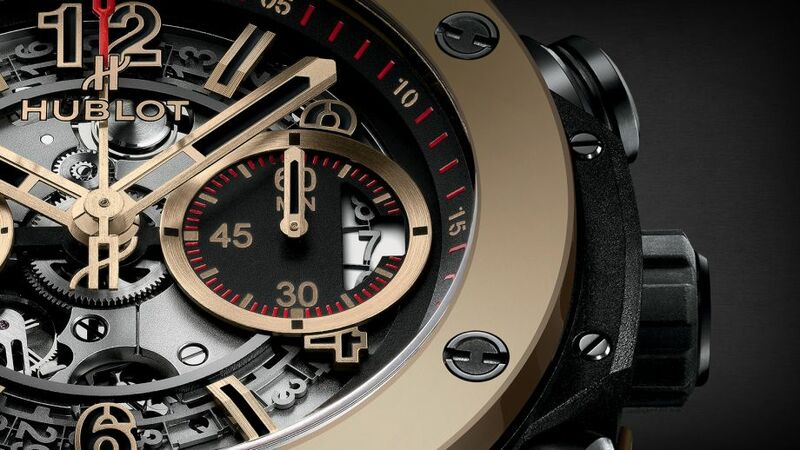 THE BIG BANG UNICO FULL MAGIC GOLD BY HUBLOT. 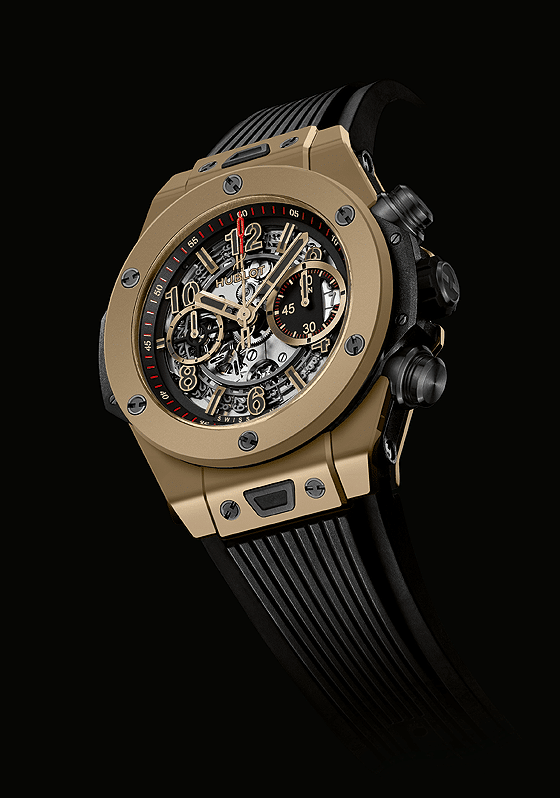 Hublot celebrates 10 years of Big Bang with the Big Bang Unico Full Magic Gold. 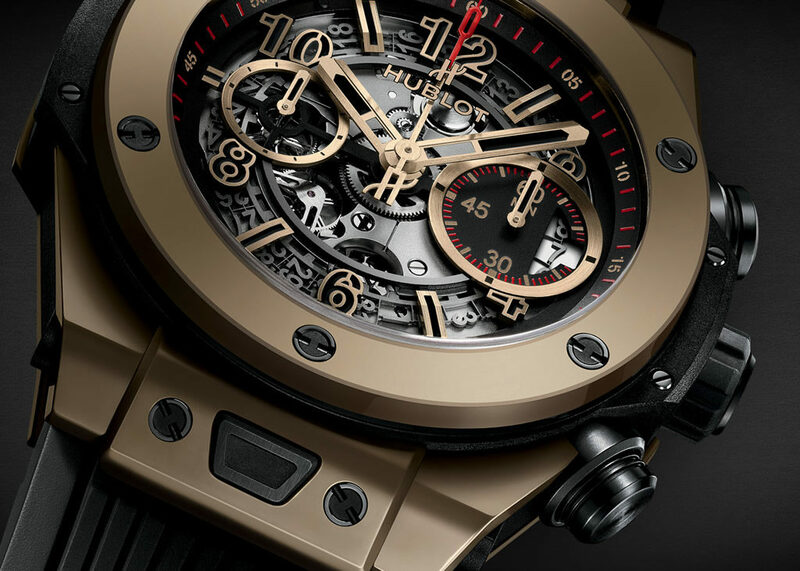 It is the perfect fusion of respect for tradition and 21st century creativity: The fusion of a revolutionary material – the famous Magic Gold, which is the world’s only scratch-resistant gold, certified as 18ct and developed by Hublot – and the iconic design of the HUBLOT BIG BANG, with its Manufacture Chrono: the UNICO. The Magic Gold is a noble material protected by patents, certified as 18ct by the Central Office for Precious Metals Control, and developed by Hublot in Switzerland alongside the prestigious EPFL (Swiss Federal Institute of Technology). 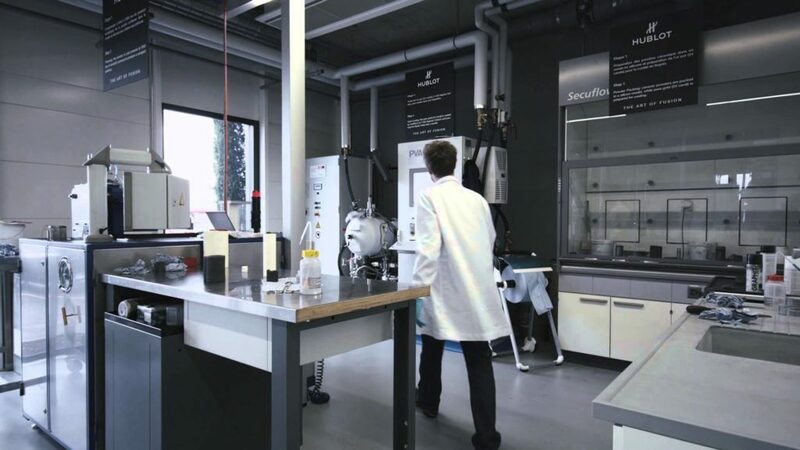 Hublot, which unveiled the wonder-material in November 2011, is equipped to produce this material in-house from start to finish, particularly thanks to its high-tech foundry at the Nyon Manufacture, which is home to the ceramic sintering and high-pressure metal casting processes. The process involves fusing 24ct gold (one of nature’s most prized metals) with the latest high-tech materials expertise. As one may assume, components made from this material are produced using a complex process, which involves using moulds to shape the boron carbide powder to create shapes similar to the components of the finished project. The pre-formed powder is then hardened at a very high temperature, creating a rigid, porous structure. After this operation, 24ct gold alloyed with three per cent molten liquid gold is injected under very high pressure with inert gas at a high temperature, allowing the metal to fill the ceramic pores and creating a ‘fusion’ of the two to produce Magic Gold. Almost three years of collaboration and research have gone into achieving this impressive result for Hublot, and this has created a completely new type of gold that is almost an unalterable precious metal that retains its own characteristics. The first watches made from Magic Gold were presented at BaselWorld2012 in a very limited Big Bang Ferrari edition that reflected the shared DNA of the two brands: exclusivity, innovation and technology. *Vickers is a unit used to measure the hardness of materials. Edwards Lowell exclusively distributes Hublot in Malta. To view the latest collection, please visit one of our outlets in St Julian’s and Valletta, or call us on +356 21 38 4503.